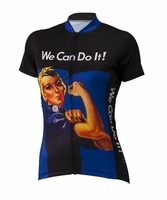 Womens Cycling Jerseys | Brainstorm Gear. 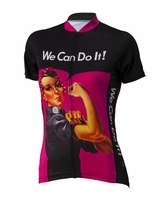 We didn't forget you ladies. 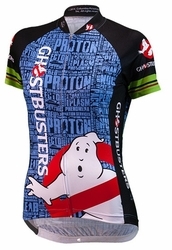 This selection from BrainStorm is ready to show your CUTE side with the characters on your Nerd bike gear! 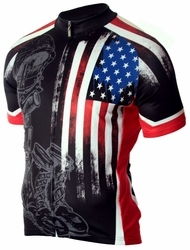 From Nerd to Science Fiction Geek the Star Trek series in several choice of colors will fit your next ride attitude in style. 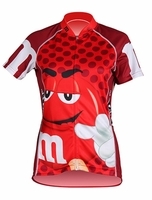 Nothing says funny and classy like these womens jerseys. 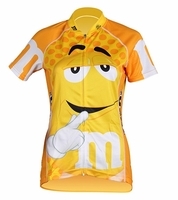 M&M jerseys come in a brilliant selection of colors; red, blue, yellow and green. 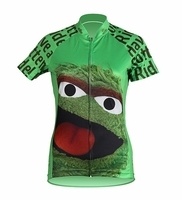 Oscar will not only make the kids laugh but this women's jersey will last and feel great. 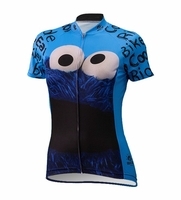 Cookie monster's huge bulging eyes and bright colors will let everyone know you are humorous and coming through the pack. 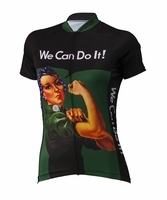 The quality in both the ink print for great colors and the fabric - which is a real moisture wicker! Stay cool and standout from the crowd. 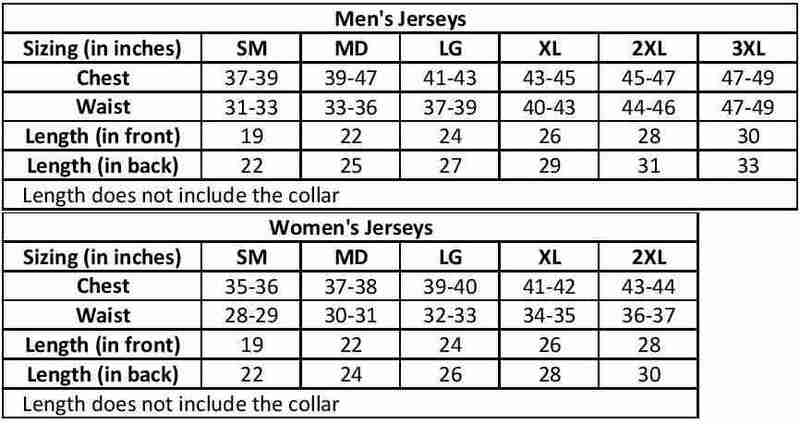 With a full length YKK Zipper and 3 pockets these are sure to be super functional and great fit. 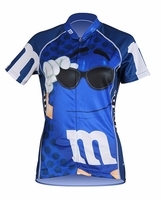 Oh Yeah, Don't forget about the UV protection!